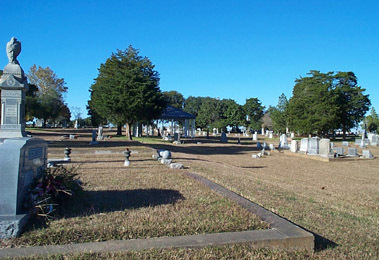 The Weimar Masonic Cemetery is that portion nearest Hwy 90 and the eastern end. While the Odd Fellows Cemetery is basically the southwest corner with its eastern boundary being a grass-covered drive that leads to the old gazebo. These two cemeteries have been surveyed as of June 2006 and a Directory has been erected onsite. There is a notebook within the kiosk which alphabetically lists the name of each person known to have been buried in the cemeteries along with the lot number and the grave space and any other information which is known about the person. The unmarked graves of persons known to have been buried here are also listed. On the inside walls are maps of the cemeteries to show you where to locate the lots. The survey was made by Dorothy Albrecht, Elliott Koehn, Jacklyn Bartosh, and others with Eunice Bittner, Harold Matthews, Wilton and Silva Leppin, Doris Beken, and Elsie Kahlden helping with verifying the information. If you have any corrections, additions or obituaries pertaining to these cemeteries, please contact the volunteer county coordinator. Daughter of Sylvanus B. and Emaline (Lewis) Walker, full name Nancy Hardin, married William Morgan Hamilton Mar 15, 1854 in Marengo Co, AL, married Robert Johnson Jun 11, 1878 in Weimar. Daughter of Thomas and Emma (Hughes) Breeze, married William H. Burns, Jr., married Henry W. Hasse, Jr. Son of Charles Hattermann, Jr. Daughter of George and Minna (Wolters) Herder, married Frederick Hillje, Oct 3, 1876, married Frederick George Hillje in 1903. Son of Richard E. and Ella (Hancock) Holloway, call "Dad"
Memorial Marker. Killed in action in World War II Went down with his ship Destroyer USS Strong Battle of Kulo Gulf Soloman Island In the South Pacific Son of John F. and Anna (Hillje) Howard. Daughter of John Halbert and Mary Alice (Farley) Mullin, nicknamed "Lizzie Lou"
Son of Alvin and Frieda (Fuchs) Kainsteiner, called "Peanut"
Son of Joseph F. and Alvina (Barton) Krizak, originally interred in San Jacinto Memorial Cemetery, reinterred in Masonic cemetery in 1981 or 1982. Son of John E. and Alouisa Kuchar, Sr. Son of Frank and Annie (Koudelka) Kunetka, veteran of World War II. 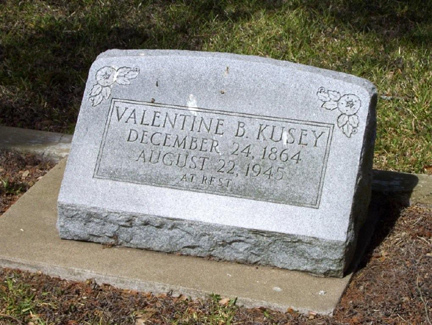 Son of Alfred and Gladys (Mrazek) Kunz, called "Dude"
Née Moss, married Henry Travis Lanier. Daughter of Joseph F. and Alvina (Barton) Krizak, married Hilton Leppin, Jan 1, 1935, called "Lottie"
Daughter of John and Veronyka (Protkova) Hnatek, married Gaither O. Little, Jul 10, 1948, second wife. Son of Christian Diedrich Gerhard and Sophie Elise (Schriefer) Oncken, married Helena W. Harms Nov 24, 1891, married Anne Nordhausen Jun 18, 1911. Son of Gerhard and Helen (Bollenhagen) Oncken. married Johanne Christine Caroline "Jane" Knipscher in 1861, married Mrs. Bertha A. (?) Steinhoemer in 1886, Confederate veteran. If you find any bad or missing links, please notify the county coordinator.